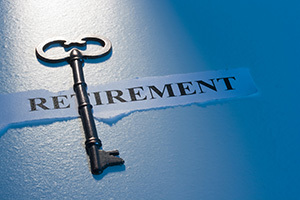 Retirement income planning is complex. Assets, portfolio allocation, expected withdrawals, risk tolerance, age, longevity, and changing expenses all play a factor in portfolio / retirement income sustainability. Due to this, it is highly advisable to work through various scenarios with retirement planning software using Monte Carlo analysis before proceeding with portfolio construction. The analysis will help you determine a successful course of action (guarantees, withdrawals, asset allocation, structure, etc.). Retirement income planning should start with a “Needs and Possibilities” analysis, as in what is needed from the portfolio and what is possible. Needs are calculated simply by subtracting your retirement income from your estimated retirement expenses. If you desire to spend $10,000/month and your spouse and you have a combined income of $4,500 from social security, your need from the portfolio is $5,500/month. Possibilities are determined by looking at the overall assets and situation and working through different approaches. It might be determined that a $1.5 million portfolio could provide $4,250/month of guaranteed income or $5,750/month of non-guaranteed (yet believed to be sustainable) income. It’s important to understand the different approaches and what each offers. Sometimes only one approach is desired or necessary, but in some scenarios, a combination may be better suited.